We're happy to announce that current versions of soSIMPLE Calendar have been tested and will continue to work as expected with the FileMaker 16 platform. soSIMPLE 3.6 includes everything you need to start using soSIMPLE Calendar in FileMaker 16. In addition to server-side optimizations in this release, we’ve also embedded REST functionality into the calendar. You can download the latest release now. If you’re already using soSIMPLE Calendar, you DO NOT need to upgrade your calendar software in order to upgrade to FileMaker 16. The current versions of soSIMPLE Calendar are compatible with the FileMaker 16 lineup. You WILL have to make a very small change to your security settings. This may be the message that had you link to this page. 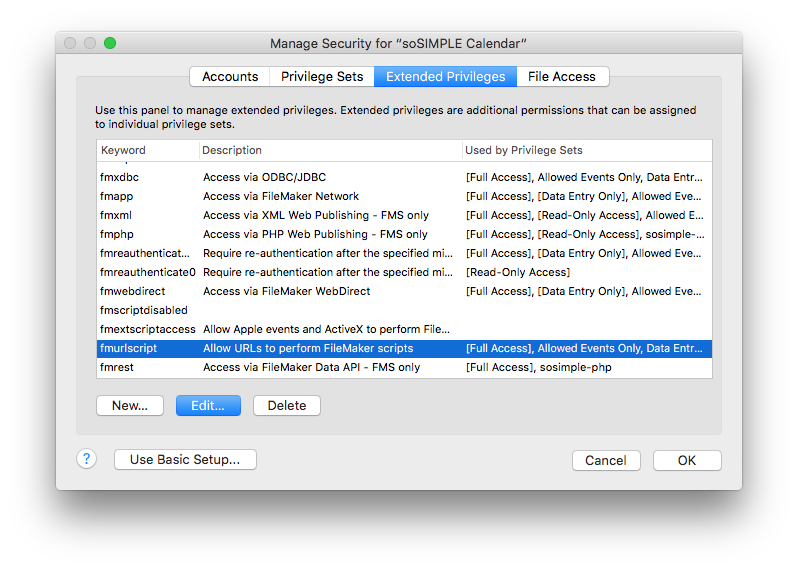 “Your access privileges do not allow you to perform this action.” You’ll see this error as soon as you upgrade to FileMaker Pro 16 or FileMaker Go 16 and try to edit events on your calendar. FileMaker 16 added a lot of security features to the product lineup. One of them is an Extended Privilege called “fmurlscript.” soSIMPLE Calendar requires this privilege for your calendar to interact with your solution’s script. 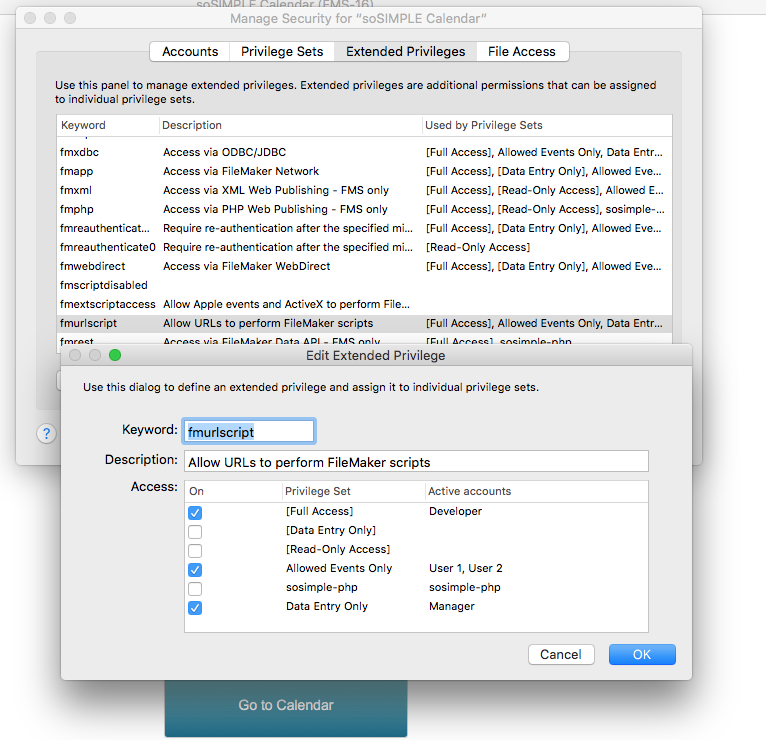 In your FileMaker solution, chose “Manage > Security” from the File menu. Click on the Extended Privileges tab. Select the “fmurlscript” keyword and click Edit. Place a checkmark by every Privilege Set that will be creating or editing events on the calendar. Click OK and confirm your changes. Now you can keep using your calendar the way you always have.